Once you create a password for a local account, don't forget it—there is no way to recover a lost password for local accounts. Note: To help keep your personal data and info more secure, I recommend adding a password when creating a local account. First, you’ll need to access your user account settings. 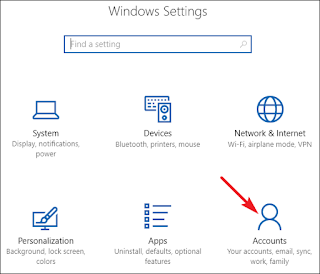 Note that in Windows 10, that this is a separate beast from the “User Accounts” Control Panel entry. 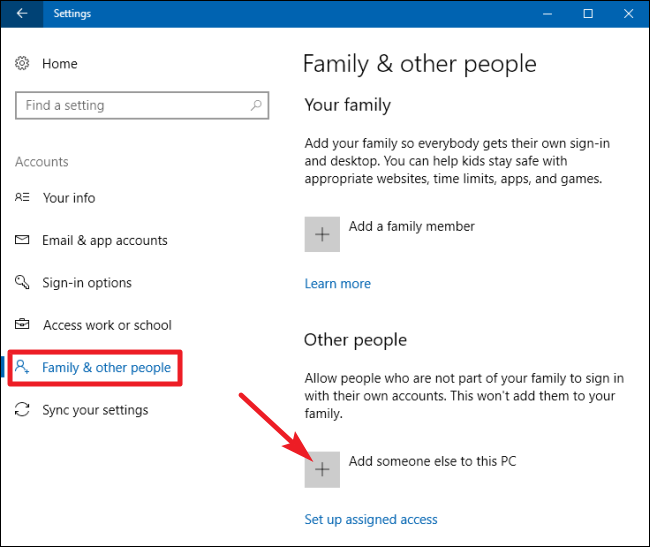 On the Accounts page, switch to the “Family & other people” tab, and then click the “Add someone else to this PC” button. 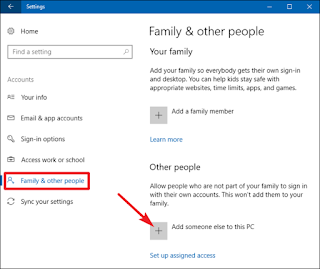 You may be tempted by the “Add a family member” button, but that feature requires setting up an online Microsoft account. 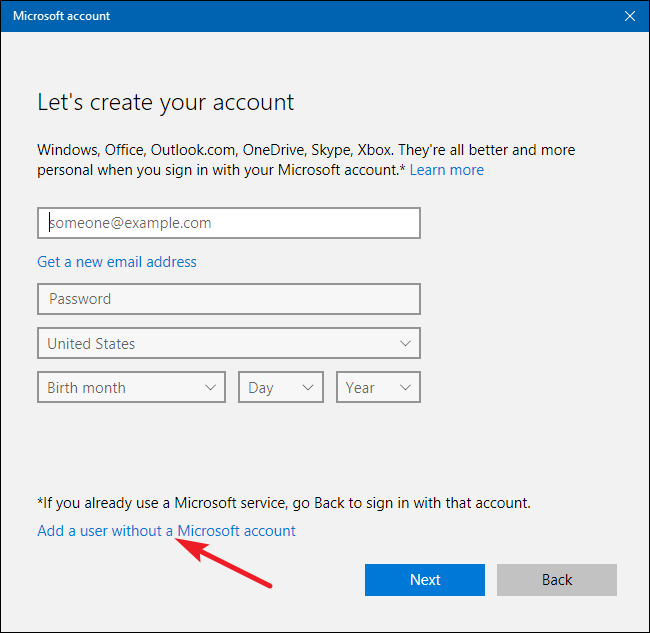 In the Microsoft Account window that pops up, you’ll be steered toward creating an online Microsoft account. Ignore the prompt to provide an email or phone number. 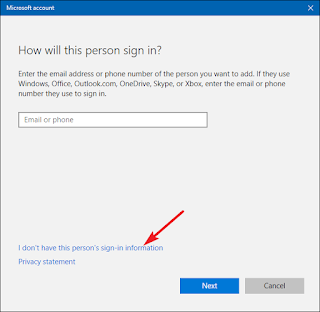 Instead click the “I don’t have this person’s sign-in information” link at the bottom. On the next page, Windows will suggest that you create an online account. Again, ignore all this and click the “Add a user without a Microsoft account” link at the bottom. After clicking “Next”, you’re kicked back to the Accounts screen you saw earlier, but your new user account should now be listed. 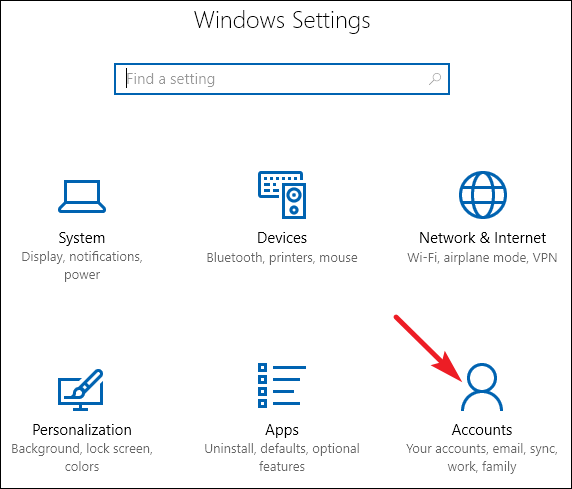 The first time someone signs in using the account, Windows will create user folders and finish setting things up. By default your local user account is set as a limited account, meaning it cannot install applications or make administrative changes to the machine. 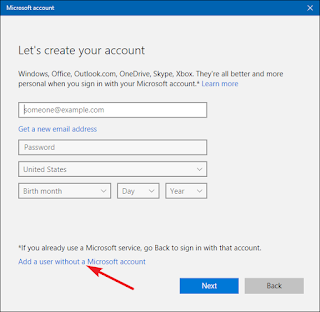 If you have a compelling reason to change the account type to an administrator account you can click on the account entry, select “Change account type,” and then switch it from limited to administrative. Again, unless you have a real need to set up an administrative account, leave it in the much safer limited mode. 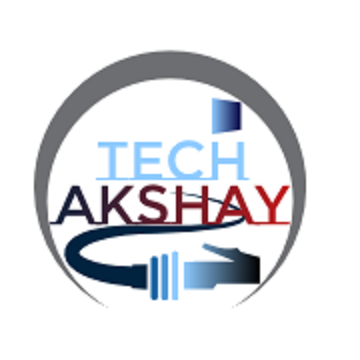 If This Article was Helpful Remember to Like us on Facebook and Subscribe us on Youtube.